A new portable smart home hub, set to revolutionise the sector, is launching on 6 December. The crowdfunding campaign aims to raise investment, giving backers a chance to be among the first to get their hand on the gadget. While smart home tech is on the rise, Yoswit’s latest offering stands out from the crowd thanks to its unique ability to create a home away from home and combine multiple must have gadgets that users will love, whether they’re at home or travelling. 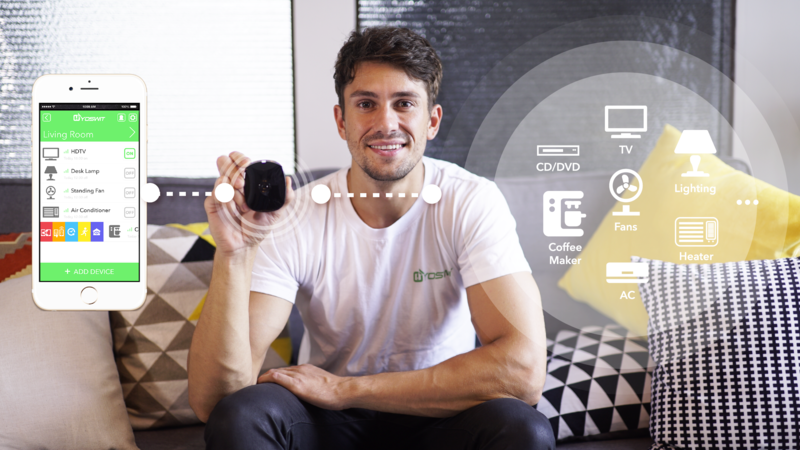 The Yoswit Portable IR Hub uses the latest Bluetooth technology to connect and control home appliance, from the air conditioning, to maintain each individual’s perfect temperature, to the TV. What sets the device apart is its ability to operate in new settings, whether that’s a hotel room or office, giving users instant access to all the features they utilise at home. When entering a new space the Yoswit portable hub simply needs to be set down and it will setup the user’s optimal environment. Supporters of the crowdfunding campaign can not only receive their hub when the first batch is manufactured but receive a discount too. Early bird backers can save over 40% on a Yoswit Pro by pledging their money. The device has been created with the diverse gadgets now found in our daily lives in mind. The Yoswit hub has over 100 thousand IR commands stored in its library and covers 90% of global brands, including the big names like Sony, LG, Panasonic and Samsung. It’s learning mode also means that the hub can work with other brands not currently included in the library to fully integrate seamlessly into every home. It’s not just the smart home features that make Yoswit’s offering appealing, it combines various gadgets that make it the ideal travel companion too. The device can act as a phone charger, luggage arrival alert and anti-loss mechanism. For homeowners that are fully embracing the smart home revolution, the hub works with other Yoswit products, allowing consumers to create a set of actions that can be completed with just the push of a single button. Yoswit is aiming to raise $30,000 through is crowdfunding campaign on platform Indiegogo and will be holding a lucky draw for those that share the event on social media. To find out more visit http://www.yoswit.com/.